Anytown Parents: Do You Know AAP Recommendations? Today’s we have a vital message for new parents or parents-to-be. For years, the American Academy of Pediatrics advised parents to begin children’s dentist visits before the third birthday. The AAP and American Academy of Pediatric Dentistry now counsels parents to take their toddler to a dentist before their first birthday, or within six months after their first tooth appears. Why? Prevention, prevention, prevention! Sadly, even though pediatricians advise parents about children’s oral health, America dentists find advanced tooth decay in very young children. To meet with us about pediatric dentistry or make an appointment for your toddler, call 801.938.3466. Doctor Larry Johnson and the remarketable team here at Cornertown Dentistry take special care of our youngest patients. We work with parents to ensure that their children’s smiles start out healthy and stay healthy as they grow. We also pamper busy parents who come to Cornertown Dentistry for general and cosmetic dentistry. 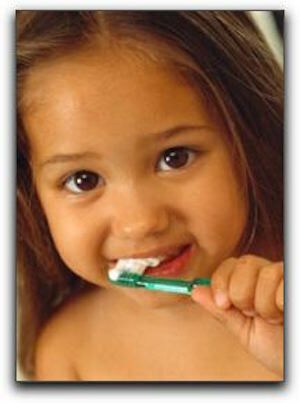 We would love to provide you and your children with singular dental care.